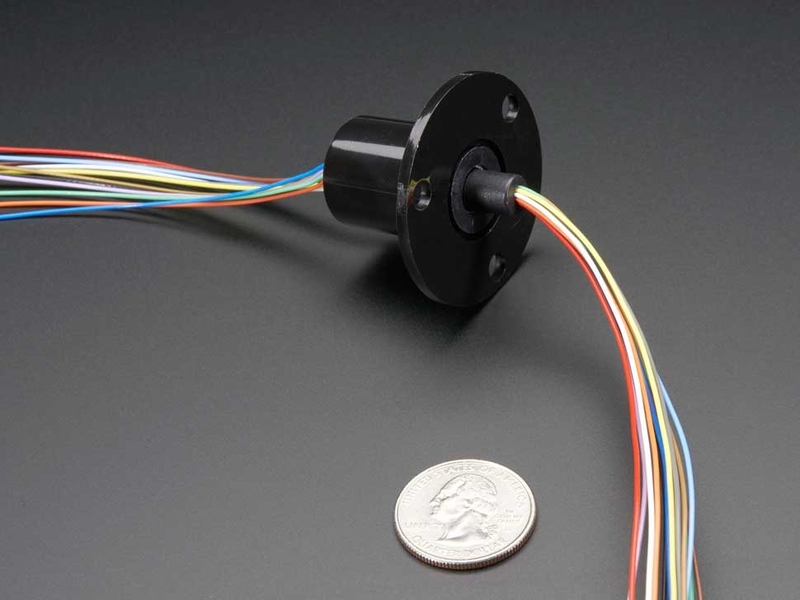 With a slip ring assembly, your electronics can now twist and turn safely. Add wheel encoders, 360 degree sensors, rotating LEDs, rotors and more! 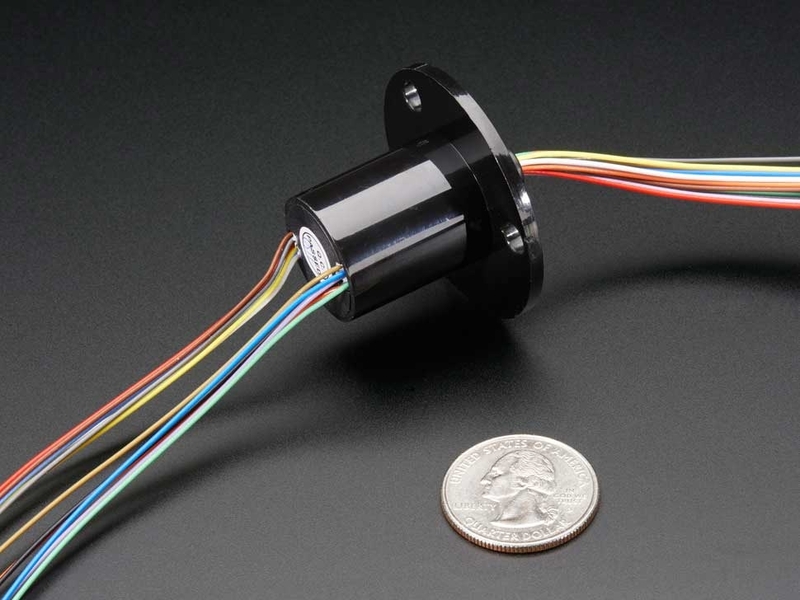 We've seen a lot of people DIY slip ring's out of desperation but no longer, simply pick up one of these to solve any rotation needs you have. Inside the plastic tube is a gold plated slip ring for 12 wires. 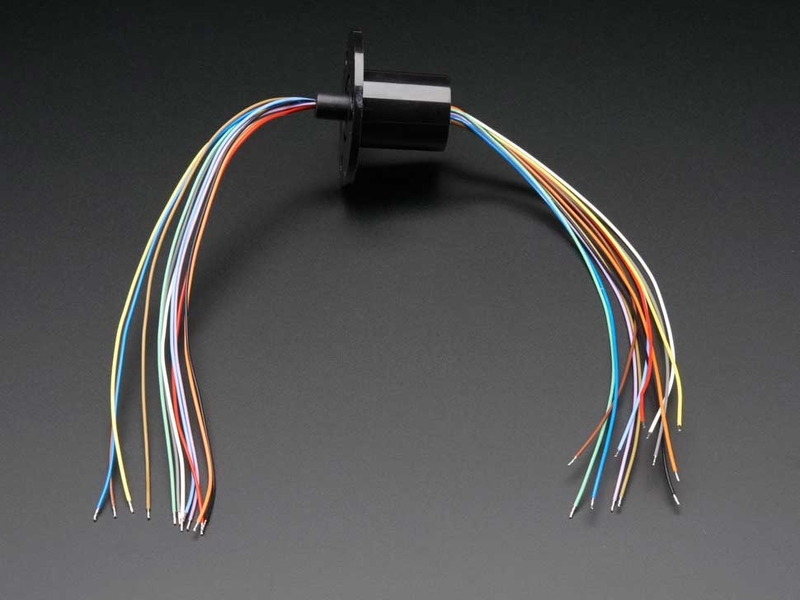 There are 12 color coded wire sets made of 28 AWG and no matter how you twist the assembly, they will remain in continuity. Each of the wire sets can carry up to 2A at up to 240VAC or 240VDC. There's a 44mm (1.7") diameter flange with mounting holes to make it easy to attach or you can cut it off with a hacksaw and drill/machine as you wish it seems to just be ABS plastic. Rated to rotate up to 300 RPM (but you can probably go faster if you don't mind a reduced life and/or noise).